When Paddy Adishian founded the store in 1996, it was to provide a much-needed shopping option to the dancers, gymnasts and theatre programs in the North State. Prior to the opening of Soleus, local dancers had very limited options which included ordering from a catalog, purchasing what was available at Shopko, or driving 3 hours or more to the nearest retail dance store. Being a dancer herself and now having three daughters who all loved to dance, Paddy knew firsthand the importance of being able to try on a leotard, being fit properly in your dance shoes, and that a good pair of tights was hard to come by. From the beginning, Soleus had a clear sense of purpose and style. Paddy wanted to provide the best quality dancewear available at a range of prices to fit all budgets. 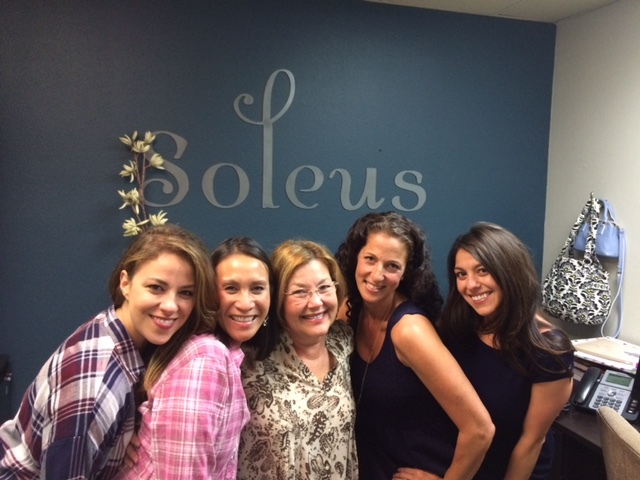 She wanted Soleus to feel like an upscale boutique, welcoming to first time customers, comfortable to the returning customer, and like a second home to all the dancers that would hopefully grow up in this special place. I personally experienced this feeling of a second home while growing up as a dancer in the North State. From finishing my homework sitting on the Soleus couch, purchasing my very first pair of pointe shoes, or hearing a returning dancer talk about her amazing summer intensive, it felt like home. Soleus became just what Paddy was hoping for - something so much bigger than just a store; it became a center for the local dance and theatre community. Though Soleus has changed owners and managers over the years, we still have the same goals 20 years later: to provide the highest quality dancewear available at a range of prices to fit all budgets; to staff our store with well-trained dancers and teachers who can provide help and service to dancers of all backgrounds; to provide pointe shoe fittings with expertly trained fitters who frequently participate in continued education; and most importantly to provide a sense of community and a place for the hundreds of dancers, singers, and artists that walk through our doors each year. Owned and staffed by dancers, Soleus is proud to have 20 years of experience serving the North State dance and theatre community. We strive to provide the largest selection of high quality dancewear to dancers, singers, and artists of all backgrounds.